MacLean’s extended political poem ‘An Cuilithionn’ (‘The Cuillin’) is featured here. 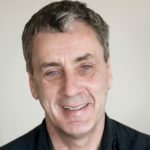 Taking the iconic mountain range in Skye as a symbol for the international revolutionary movement, the poem has a significance which echoes far beyond time, country and language. An extract from this powerful poem is published here in Gaelic and English. an ceann gliongarsaich nan àrmann. a chuala Geikie is a bhrath e.
guth nan saoi is glaodh nam piantan. ’s an Cuilithionn mòr a’ dol ’na thuaineal. dhrùidh is mhill e smior mo neairt-sa. ri mo chlaistneachd ’na dhuilghinn. air mo chridhe ’s air mo chluasan. ìobairt air am faide brìgh. Alba a’ lobhadh an suain bhreòite. who stole and drove and plundered. mingled in the din of the gentlemen. and the revel-shout of Odin. which Geikie heard and did not conceal. the voice of the wise and cry of the tortured. while the great Cuillin reeled dizzily. pierced and spoiled my strength’s marrow. would cleave to my hearing, a distress. into my ears and my heart. and Scotland rotting in sick slumber. 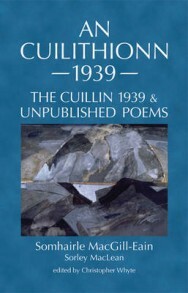 An Cuilithionn: The Cuillin 1939 & Unpublished Poems by Sorley MacLean is out now published by ASLS priced £12.50.